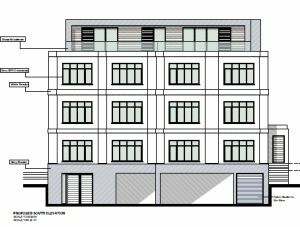 Bournemouth Borough Council: Pure Town Planning are pleased to announce that we have secured planning permission for alterations and extensions to an existing building to provide additional third and fourth floors as well as a remodel of the external appearance and internal layout to form 14 flats near the centre of Bournemouth. Working in collaboration with DOT Architecture, this application will increase the height of the building with an additional two floors; one that would repeat the existing Art Deco design, and a recessed more contemporary appearance on the top floor. Due to the proximity of the development to the Wessex Way, Pure Town Planning instructed Impact Acoustics to prepare a noise impact assessment. This report showed that with appropriate level of acoustic glazing there would be no detrimental harm to the future occupiers of the development. The site, while within easy walking distance of the town centre, was outside the defined town centre boundary by just 30 metres. This meant that instead of requiring 10 parking spaces, the development had to provide 12 parking spaces. With the combination of a Highways Report and a strong justification in the accompanying Design and Access the shortfall of two parking spaces was considered appropriate as the site is well situated to enjoy the amenity areas of the gardens and the beaches, as well as all the other amenities that Bournemouth Town Centre offers such as shops, bars, restaurants, cinemas, places of work and good transport connections. 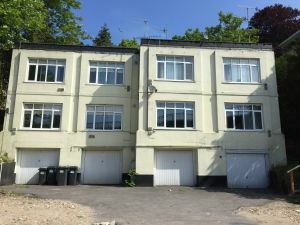 This application demonstrates that, Pure Town Planning have the know-how and professional contacts to ensure that consent is granted even on potentially tricky development sites. So if you are working on a residential development, why not give us a call or send us an email (info@puretownplanning.co.uk) for a confidential, no obligation appraisal.